Your liver is the primary detoxifier in your body and it can totally handle moderate intake of alcohol, fatty foods, and sugary treats. The liver excels at converting toxins into waste products, cleansing blood, and metabolizing nutrients and medications so that they can be used by the body. But the liver can easily get overwhelmed if you don’t ever give it a break. There are many products on the market that purport to detox your liver after an overindulgence, but there really isn’t any such thing as a true liver detox because that’s what your liver does all the time. There is no scientific data to support the efficacy of these products, and they may even be dangerous. Still, your liver must be cared for in order to keep functioning in a healthy way. If a capsule won’t do it, what will? In a word, food. Healthy eating is the best gift you can give your liver, and the good news is that you are probably already consuming many of the liver-friendly foods on our list. Read on to see how well you are doing by your liver, and learn some ways to improve its health. Coffee has been shown to protect the liver from disease, even if you already have liver issues. Coffee lowers the risk of cirrhosis and liver cancer as well as reduces damaging inflammation. Researchers think it works because of its ability to prevent the buildup of fat cells, one of the markers of liver disease. The strongest benefits are seen in people who drink at least three cups a day, so don’t listen to anyone who says you have a problem. Studies show that green tea consumption is also linked to better liver health, but you may need to drink 5-10 cups per day. Who has that much time to run to the restroom? Still, skip the concentrated green tea supplements, because too much can actually have a damaging effect on the liver. 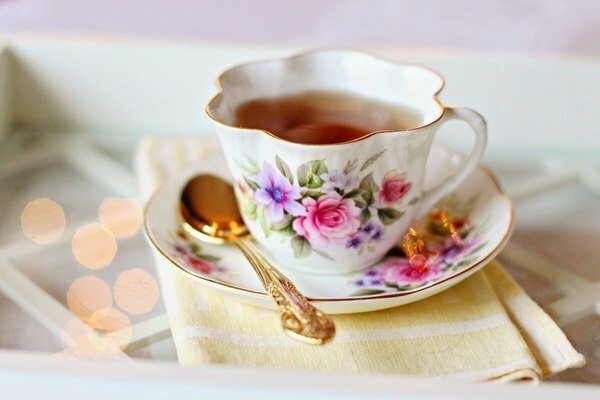 Black tea seems to help reverse the effects of a high fat diet. Long story short – enjoy as much tea of any variety as you would like each day, but check in with your doc if that amount exceeds 10 cups.